The March for Life commemorates the anniversary of the U.S. Supreme Courts infamous Roe v Wade decision that Legalized abortion on January 22, 1973. January is an important Prolife Month. 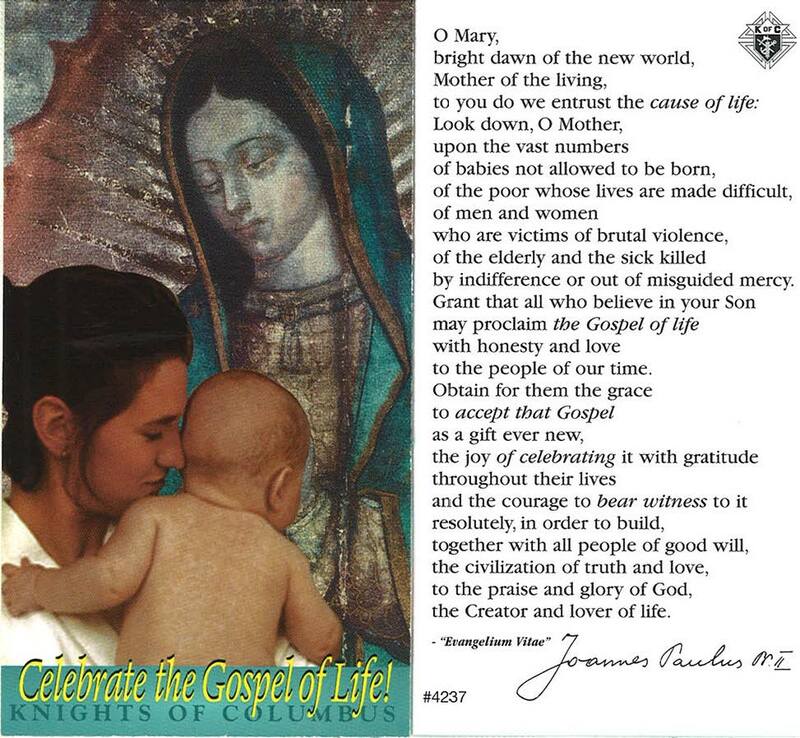 As Knights we vow to defend God’s Gift of Life, especially the life of the most vulnerable, the unborn. 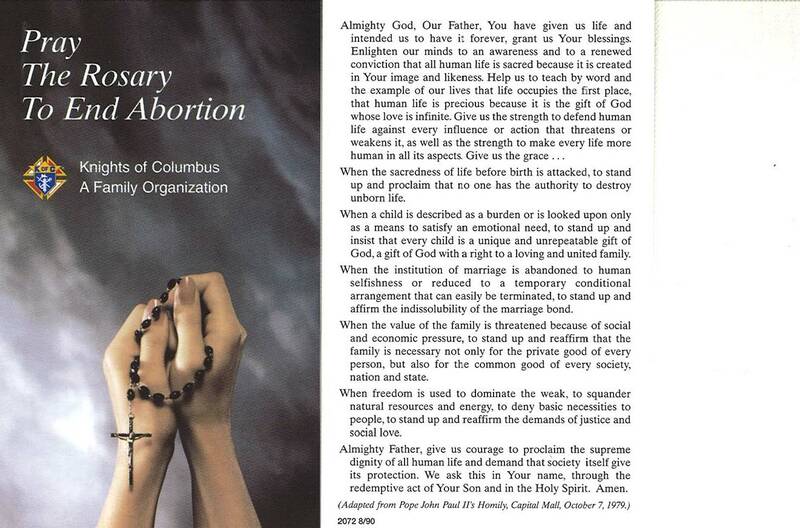 Brother Knights are encouraged in their local marches, to carry council banners, Defend Life Signs, KofC posters, wear their jackets with the KofC emblem while walking together to show support for the Right to Life and praying the rosary for an end to the intrinsic evil of abortion. We have the opportunity to make the upcoming March for Life on Friday, Jan. 27, 2017, the largest and most effective pro-life event ever! Not only are more than a quarter million pro-life supporters expected to travel to Washington, D.C., for the event, but also the timing of this year’s event is particularly significant — it takes place only days after the presidential inauguration. Your council should help get as many people to the event as possible. Do this by subsidizing marchers or organizing buses for your brother Knights, parishioners, seminarians, clergy and others, especially students and other young people. Information about the march and many related events, such as the March for Life Conference and Expo, Youth Rally and Rose Dinner, is available at marchforlife.org. No matter what event you attend, don’t forget to bring your council banners; to wear shirts, caps and jackets with the K of C emblem; and to march together as a council. You can also order 13” x 20” Choose Life signs (#9341- available at no charge in English, French or Spanish). To order signs, call 203-752-4403 or send an email to william.obrien@kofc.org. In the email, please provide your name, council number, address, telephone number and the exact number of signs you wish to order. If you are interested in helping with any of our programs, or would like more information, fill out this online form.